With audience interaction for introverts, Choose Your Own Documentary reinvents the comedy/documentary genre. 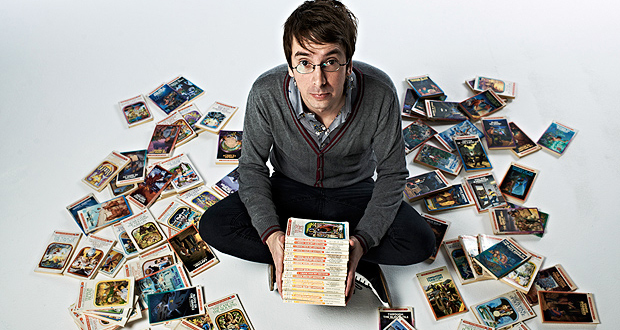 Nathan Penlington’s interest is stimulated when the finds an old diary in a collection of Edward Packard’s Choose Your Own Adventure books he has bought on eBay. Written by the books’ previous owner, the diaries depict a lonely childhood with some very dark thoughts. Penlington decides to locate the diary’s author, followed by a film crew, to discuss the issues, and, most importantly, to see if he is OK now. Were the notes fantasy or genuine threats? And there our overview of the story itself must end. As Penlington rightfully points out, the show is as much as an adventure as this books which inspired them. The show, with its fusion of video, PowerPoint and storytelling, addresses the obvious comparisons to Dave Gorman and Danny Wallace by replicating the structure of the series or books from whence the diaries came. Using small remotes, handed out upon entering the venue, the audience is invited at regular intervals to vote for which version of the documentary they would like to see. Pendleton claims that there are over 1500 possible versions of the show, with multiple endings. Like the books, there is the danger that the narrative could abruptly terminate should an audience choose a version which leads Penlington to a dead end. There are a couple of ‘lives’, though, since one or two people might be disgruntled if this show was curtailed earlier than anticipated. As it is now ten years since Dave Gorman performed his Googlewhack Adventure (in the nearby George Square Theatre), with 2011’s PowerPoint Presentation not quite in the same league, it is about time that was had another show in the travel documentary/comedy genre. With the combination of Penlington’s humane and humble storytelling with video footage, Choose Your Own Documentary resurrects the comedy documentary genre. Choose Your Own Documentary by Nathan Penlington runs at the Gilded Balloon, Edinburgh until 26 August 2013.